Statistics for HTTP request types and response codes. HTTP statistics based on the host and URI. HTTP request and response statistics based on the server address and host. 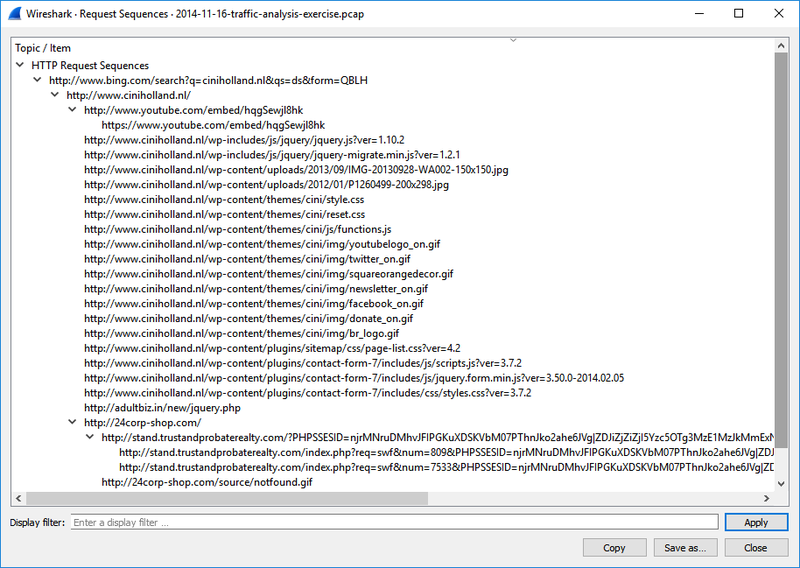 HTTP Request Sequences uses HTTP’s Referer and Location headers to sequence a capture’s HTTP requests as a tree. This enables analysts to see how one HTTP request leads to the next.